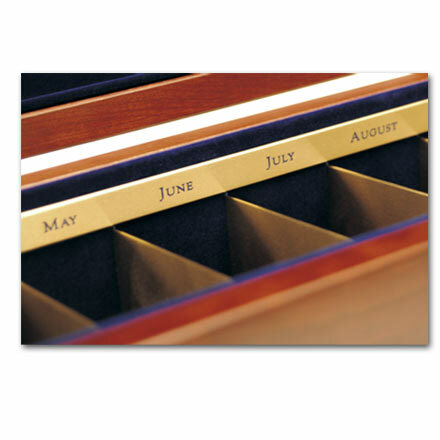 Season Ticket Holder Box | Custom wood boxes and cases. Made in the USA. 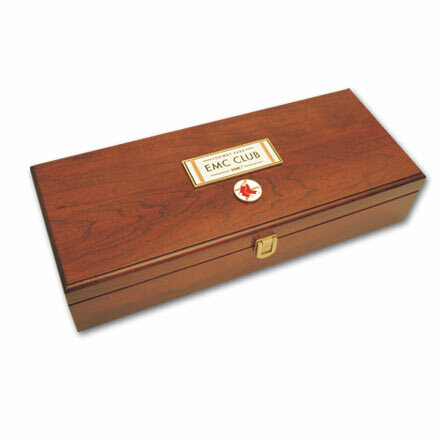 Handcrafted for the Boston Red Sox to present and organize season passes for corporate ticket holders, our Season Ticket Holder Box is a gem. It's also a superb example of how Pocumtuck can elevate any brand, product or display to a new level. 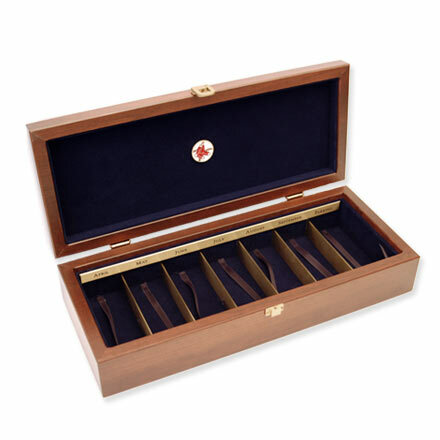 No mere envelope stuffed with tickets, this box is a well conceived, finely crafted high-end presentation case. Note the custom metal coin and faceplate on the exterior, the velvet lined interior and brass plate silkscreened to display months of the season. Overall, a home run.